DALLAS (AP) Texas officials have recently moved to scrap tolls on several highways for the first time in 40 years, bucking a national trend toward more tolls on mostly urban roadways to shift the costs of transportation to those who use the roads. A regional authority voted to eliminate tolls on the Cesar Chavez Border Highway in El Paso. On the same day, some 600 mi. away, the Dallas city council rejected plans to build a toll road along the Trinity River near downtown. The council's action appears to be the death knell for a toll project that was debated for decades as a way to alleviate congestion along a network of aging, narrow highways. Meanwhile, in far South Texas tolls are no longer being collected along the Camino Colombia highway near the border city of Laredo. Local lawmakers had argued commercial truckers and others were using alternate routes as a way to avoid the toll and that it was an impediment to the smooth flow of goods through the region. While a variety of factors played a part in the elimination of the Texas tolls — Dallas' Trinity toll project in particular was beset by environmental concerns and efforts to establish parkland along the river — state Rep. Joe Pickett said there's an overarching connection. “The common theme is just toll fatigue,” said Pickett, an El Paso Democrat who sits on the House transportation committee. Prior to the recent spate of moves, the last time tolls were eliminated from a Texas roadway was 1977, Pickett said. 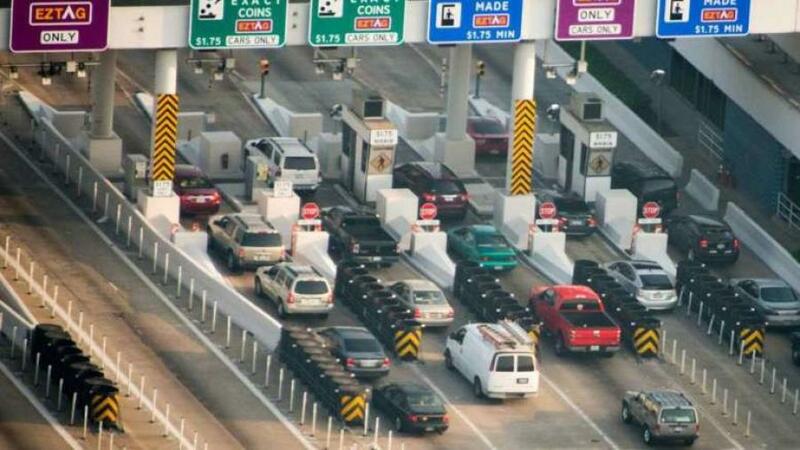 “Toll roads are designed to be in perpetuity now,” he said, arguing that they too often lead to transportation authorities that operate toll roads but grow into bureaucratic behemoths. Transportation experts said that a primary reason for a growing reliance on tolls is that for far too long Congress hasn't adequately funded the country's transportation needs. The states have traditionally been averse to imposing new taxes or fees to finance infrastructure beyond general upkeep. Dorsey said that according to some estimates there's a federal shortfall of $200 billion in meeting the country's vast transportation needs. “The federal government is a partner in this endeavor but it has lagged in giving the states the funding they need to keep up,” he said. A report compiled for the International Bridge, Tunnel and Turnpike Association noted that in 2014 there were about 5,000 mi. of toll roads in the United States, a number that could potentially grow to 25,000 mi. by 2030 when factoring in express toll lanes and interstates converted to toll roads. Larger states such as Texas, California and Florida tend to have the most toll roads. In Texas, the Department of Transportation continues to encourage toll projects and an additional 150 mi. of tolled or managed-lane projects are in the works, on top of the nearly 700 mi. already in place, according to a report this year by the Legislature's House transportation committee. Among the recommendations included in the report are that tolls be eliminated once the debt incurred to build a road or highway is retired. “That's a dumb idea,” said Pat Jones, executive director and CEO of the International Bridge, Tunnel and Turnpike Association. Tolls are used in a growing number of places to maintain and manage an infrastructure network, he said. “Tolling is a powerful and effective tool for users to pay for the transportation system they use,” Jones said. Recent congressional reports have said the country needs to move away from the fuel tax as a funding mechanism and toward direct user fees, he said. “The smart money in this country is on tolling and on mileage-based user fees,” Jones said.